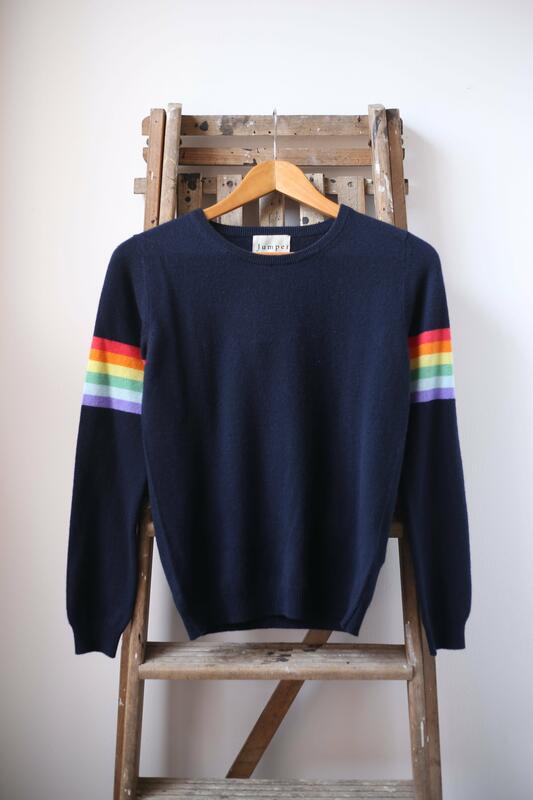 Jumper 1234 Summer Rainbow Navy Cashmere Crew 1218-509. One of our most popular brands, Jumper 1234 marry great quality cashmere with bold, fun designs. This rainbow detail knit is one of our picks from this season; we love its happy design. 32 The Guild in Northampton, United Kingdom.